More agents and brokers are sharing offices. We're worried what it could mean for home-buyers. It’s a scenario every aspiring homeowner is likely to experience. You turn up at an open home, holding out hope this could be the one. The real estate agent casually inquires if you’ve got finance sorted and whether you’d like to talk with a mortgage broker. What you’re not told is the agent could get a kickback from the broker for sending business their way. The broker’s firm may be owned by the same company that owns the real estate agency. And the broker may even work in the same office as the agent. We’ve looked into the financial ties between real estate agents and mortgage brokers, and what they could be costing you. Plus we’ve surveyed consumers on their experiences with brokers. Financial ties between real estate agents and brokers aren’t new. The Real Estate Institute has previously chided agents for accepting kickbacks for referrals and failing to disclose them. But the financial ties are getting closer as real estate companies expand into other areas of the property buying and selling business. Among the big players, Harcourts Real Estate is the majority owner of Mortgage Express. Harcourts’ agents refer buyers to Mortgage Express advisers, who frequently work out of the same office as the agents. Bayleys Real Estate has financial ties with the Lifetime Group and the Rothbury Group, which provide mortgage and insurance broking services. In some centres, Rothbury advisers share offices with Bayleys’ staff. Bayleys says agents are paid “a modest contribution” for referrals. The Aussie company that owns Ray White Real Estate is the majority owner of New Zealand Financial Services Group (NZFSG). NZFSG owns the Loan Market and Insurance Market broking brands. Most consumers who use a broker are first-home buyers. Our latest survey found half go to a broker recommended by family or friends. But referrals from real estate agents are increasing. About 1 in 4 people who’d used a broker in the past 12 months had been referred by a real estate agent, double the number 5 years ago. Real Estate Institute chief executive Bindi Norwell believes real estate companies’ expansion into the broking business is largely motivated by a desire to provide a “one-stop shop” for consumers. “It’s part of the value proposition for some real estate agents, for sure,” she says. The institute’s expectation is that agents tell the buyer when they have a financial relationship with a broker. “Agents should disclose any relationship that generates financial reward,” Ms Norwell says. The Real Estate Agents Authority says it also expects agents to disclose financial benefits they receive outside of their usual commission. But the rules governing the industry aren’t clear cut and have yet to be tested in court. About 1 in 4 people who’d used a broker in the past 12 months had been referred by a real estate agent, double the number 5 years ago. Financial ties between agents and brokers have drawn flak in other countries. In the UK, a review of the mortgage market by the Financial Conduct Authority pointed to the conflicts of interest raised by these relationships. The situation there has reached the point where some agents have insisted buyers are assessed by the agent’s in-house broker or they can’t view a property. Questions are also being raised about the information passed from the broker to the estate agent when they share close working relationships. In theory, there are meant to be walls between the broker and the agent. However, industry insiders say the walls aren’t always as solid as they should be: it’s not unheard of for a broker to be pressured by an agent to get information on how much the purchaser can afford to pay for a property. Ray White Real Estate’s Graeme Fraser, head of agency operations, says it shouldn’t happen. He says agents and brokers have obligations to keep information confidential. It should never be shared unless the buyer has agreed to it but adds “I’m not going to put my hand on my heart and say it might not”. Bayleys Real Estate says information isn’t shared with related companies. Harcourts didn’t respond to our inquiries about its relationships with brokers. Rod Severn, head of industry body the Professional Advisers Association, says the broking business is growing. About 40% of mortgages are arranged through brokers, rather than direct with the lender. Brokers’ market share has also made investment in the industry an attractive proposition for real estate companies. Brokers earn income from commissions on the mortgage and insurance products they sell to consumers. But to get access to these products, the broker must belong to a dealer group – such as NZFSG – and this company also earns commission income from product sales (see our FAQs). On mortgages, brokers are paid commission upfront by the lender when the loan is taken out. They can also earn upfront and trail commission, where they get some of the money in monthly payments over the term of the loan. Upfront commissions on mortgages can be up to 0.85% – and sometimes more – of the loan value. On a $500,000 mortgage, that’s $4250. With life insurance, brokers’ commissions reflect the policy premium. A 2016 report by the Financial Markets Authority (FMA) estimated commissions can be as high as 200% of the customer’s annual premium. Trail commission of 5% to 7% can be paid on top. The broker’s dealer group gets paid what’s called an “override commission” as well. In 2016, broking income reported by NZFSG’s Aussie owner was $25.9 million. Commission payments inevitably impact what consumers pay. Calculations by the New Zealand Institute of Economic Research suggest life insurers spend $430 million a year on commissions. It estimated halving commission payments could cut premiums up to 12%. In most cases, consumers are unlikely to be aware of how much their broker and the dealer group earn in commission. Sixty-two percent of consumers in our survey said the broker didn’t disclose how much they’d get from arranging the mortgage or life insurance policy that was recommended. Existing rules mean the broker doesn’t have to say. Brokers are regulated by the Financial Advisers Act as registered financial advisers, which means they don’t have to disclose their commission income. Legislation is in the pipeline to strengthen disclosure requirements. But exact details of the new rules have yet to emerge. 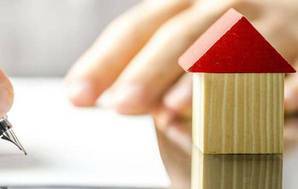 Across the Tasman, regulators have been reviewing mortgage broking to determine how kickbacks and commissions affect what consumers pay. All other things being equal, the broking market could be expected to put competitive pressure on banks and other lenders, leading to better deals for consumers. However, a March 2017 review by the Australian Securities and Investments Commission (ASIC) highlighted the incentives commission payments create for brokers to recommend loans larger than the buyer needs or push them towards lenders offering higher rewards. Bonus payments for meeting sales targets and “soft dollar” commissions – such as overseas trips – can be paid as well. According to ASIC, real estate agents who refer customers to a broker can also receive a commission when a loan application is successful. Among the review’s messages for Aussie consumers was that there was no consistent evidence brokers got either cheaper or more expensive loans for homebuyers. Some lenders provided brokers with slightly cheaper loans, but others didn’t. In either case, the difference was small. There’s been no similar investigation of the broking market here to gauge whether the same pressures are affecting consumers. The FMA says its focus has been on insurance and the commissions paid to brokers selling life cover. It agrees commissions “may have an impact” on the premiums consumers pay but is yet to investigate the extent of this impact or the role dealer groups play in the market. Buying a home is the biggest purchase most of us will ever make. Consumers using a broker to arrange finance need to be able to have confidence they know who they’re dealing with. Given the growing ties between brokers and real estate agents, regulators need to take a closer look at the market to ensure kickbacks and commissions aren’t skewing advice. At a minimum, brokers and agents must be required to disclose their financial ties to homebuyers. Consumers also need to be given information about commissions paid to dealer groups. We surveyed 507 consumers about their experiences with mortgage brokers. Half (51%) of those who’d seen a broker in the past 5 years were very satisfied with the service they got. Consumers were more likely to be very satisfied (57%) if they used a broker recommended by family or friends. About 1 in 8 were dissatisfied. Sixteen percent said they were unlikely to use a broker again. Did the broker tell you how much they would earn from recommending a mortgage to you? How satisfied were you the broker acted in your best interests? Did the broker suggest you take out life insurance? GUIDE TO THE TABLE OUR SURVEY was carried out online in August 2017; 507 consumers who had seen a broker in the past 5 years participated. Figures may add to +/- 100% due to rounding. *Some respondents used more than one service to find a broker. Do brokers work with all lenders? Mortgage brokers have arrangements with various lenders, but they don’t usually cover the whole market. The deal a broker offers you should be the best it can get from its panel of lenders, but it may not be the best in the market. Brokers typically work through a dealer group, also referred to as an aggregator. These groups negotiate commission arrangements between the broker and the lenders and insurance companies that provide the financial products sold to consumers. Does the broker have to tell me how much commission they earn? No. Most brokers are classed as registered financial advisers under the Financial Advisers Act. They’re required to act with care, diligence and skill, and must tell you what they can give advice about. However, they’re not required to disclose commission payments. What qualification does a broker need? Brokers aren’t required to have a formal qualification. What happens to the information I give to a broker? Under the Privacy Act, brokers (and real estate agents) must tell you how your information will be used and who it may be shared with. If they fail to do so or disclose information without your consent, they risk breaching the act. You’re entitled to ask what information they hold about you. Brokers must belong to an independent dispute resolution scheme. If you have a problem you can’t resolve, complain to the relevant scheme. You can also let the FMA know. It monitors complaints about brokers. About the time that legislation covering brokers was altered when the goal was to clamp down on Investment Advisors the Banks' had introduced or were in the process of introducing a success commission based on the percentage of applications approved to the percentage that actually settle. This encourages Brokers to put applications with fewer or only one lender and is contrary to my understanding of the major benefit of engaging a Broker that is to source the most competitive mortgage available in the market. I am not sure if they are still doing this or not but if they are it is fundamentally unethical and the lenders and the brokers know it.